There’s no denying the appeal of the Kootenay Rockies, British Columbia's so-called “Mountain Playground” that dazzles with a monumental palette of towering glacial peaks, alpine meadows, mineral hot springs, epic valleys, and restored heritage towns. 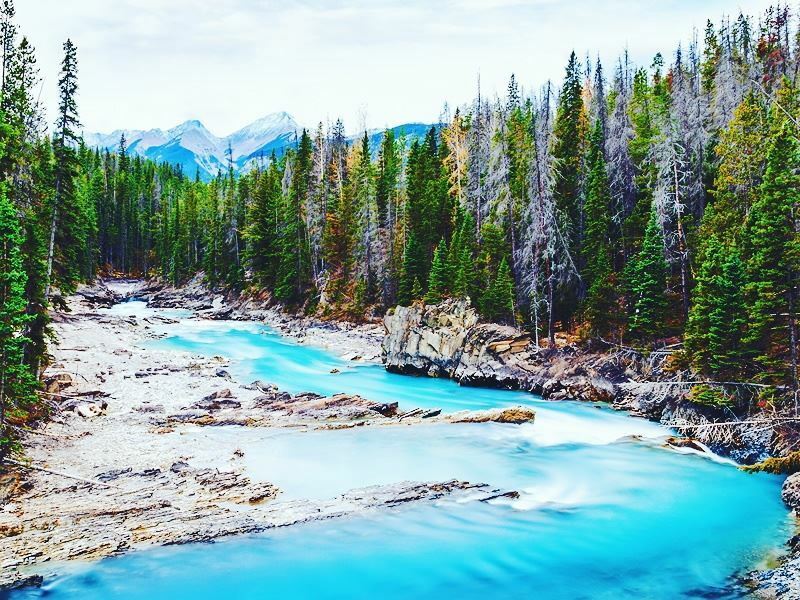 As one of the most eye-poppingly beautiful wonderlands in Canada’s West, not only does this region have four mountain ranges to brag about (BC Rockies, Purcell, Selkirk, and Monashee), but it’s also home to the stunning Kootenay and Yoho National Parks. Here’s the 10 best outdoorsy activities worth getting excited about in the Kootenays. Given its alpine backdrop of thick forests, pristine rivers, sparkling lakes, and snow-capped peaks, it comes as no surprise that British Columbia’s mountain-framed southeast corner is one of Canada’s most celebrated golfing spots. There’s over 25 championship courses; many of which make annual appearances on SCOREGolf's Top-100 list, and all of which come with meandering fairways, undulating greens, cleverly-aligned holes, and long yardages. Must-plays include Mountainside Golf Course for its Rocky Mountain and Columbia Lake views, Shadow Mountain Golf Course for its strategic hole positioning (it’s also one of the longest courses in British Columbia at 7,405 yards), and Grey Wolf Golf Course for its thought-provoking design at an elevation of almost 4,000 feet above sea level. 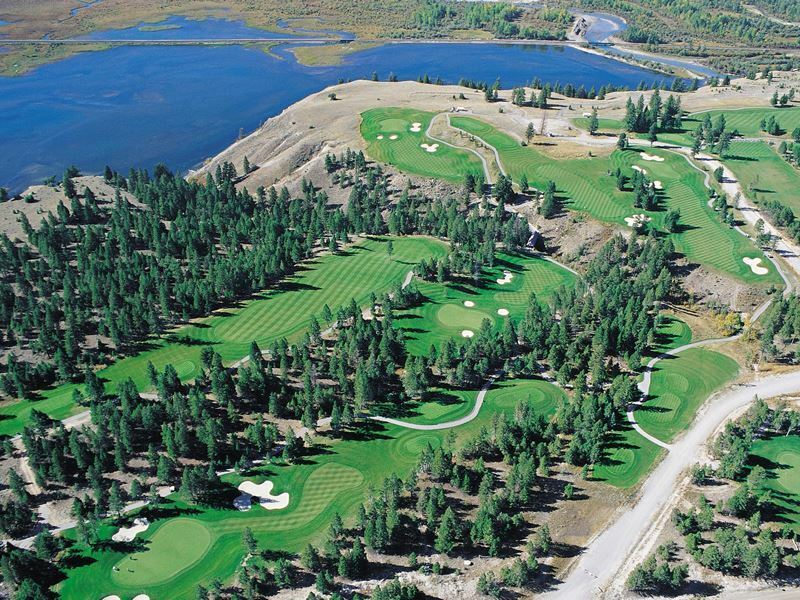 Also noteworthy is the award-winning Eagle Ranch Golf Resort for its William G. Robinson-designed public course - an 18-holer skilfully sculpted out of rolling canyons and elevated bluffs overlooking the Columbia River, the Rocky and Purcell Mountain ranges, and the glistening blue waters of Windermere Lake. There’s no shortage of zip lining operators in the Kootenays, all of which offer super-safe tracks strategically set against the striking mountain ranges. Some of the region’s most stomach-churning aerial adventures can be found at Kokanee Mountain Zipline in Nelson - a year-round facility that offers six awe-inspiring zip lines over the Kokanee Creek Canyon (including an 80-foot-long and 25-foot-high line for newbies, and a 2,400-foot-long and 300-plus-foot-high mega line for more advanced riders). 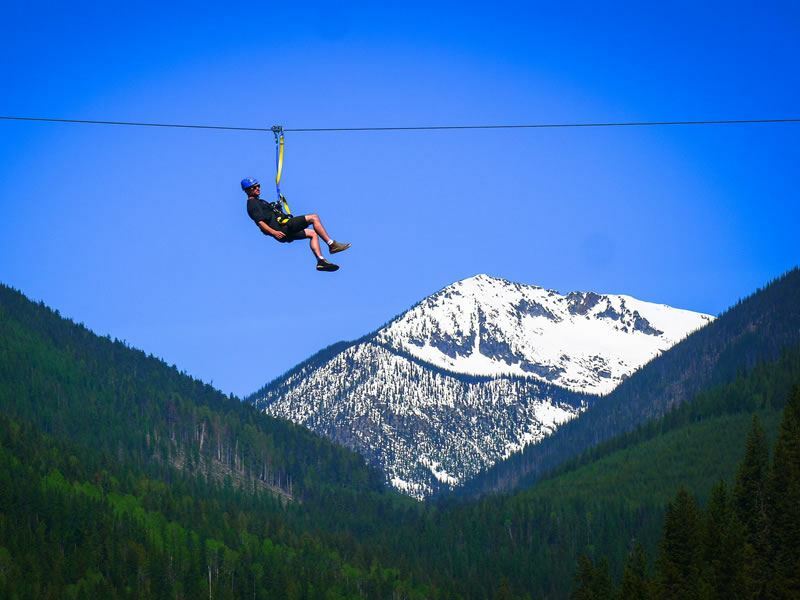 Further places for high-flying fun using only gravity and a harness include Aerial Park at Fernie Alpine Resort, SkyTrek Adventure Park at Revelstoke, and the newly-opened Mineral Mountain Ziplines at Fairmont Hot Springs Resort. Equally excellent is Awesome All-Season Adventures and Banff Adventures Unlimited - both of which operate in the small town of Golden in the Columbia-Rockies portion of the Kootenays. Here you’ll find plenty of fast speeds and jaw-dropping heights, including a selection of unique dual zip lines that will take you across the rugged Kicking Horse River tied to your nearest and dearest. 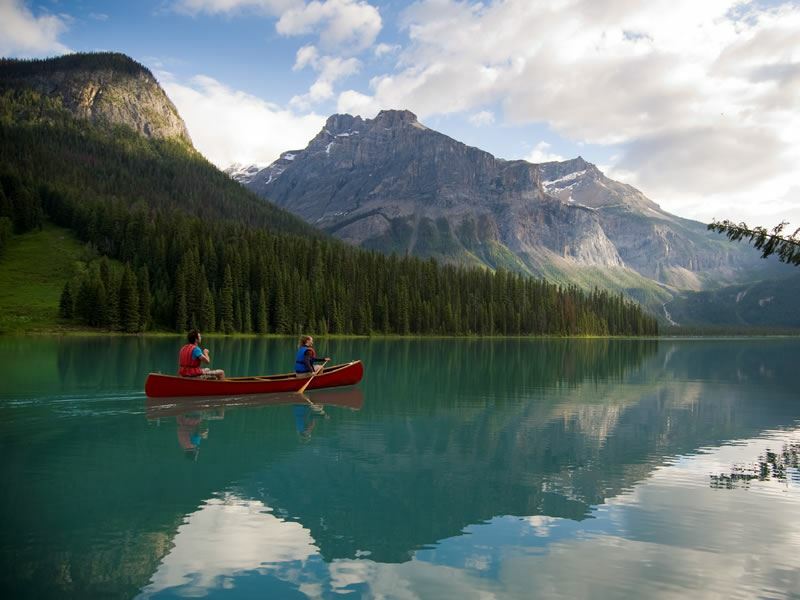 For paddling adventures big and small, the best canoeing lakes in the Kootenays (Slocan, Kootenay, and Koocanusa) remain gloriously ice-free throughout the year (higher elevation alpine lakes such as Emerald Lake in Yoho National Park are typically frozen between November and May). Canoes can be rented in most lakeside communities, but for those not brave enough to bob along on their own, a solid choice of fully-catered guided tours is available on most major waterways (Columbia River Paddle runs an excellent three-hour excursion aboard a 10-person voyager canoe). Most adventurers keen to test out their river-running skills make a beeline for the Columbia River Wetlands - one of North America's longest undisturbed wetland ecosystems, stretching for over 112 miles between the Canal Flats and Golden. With the Canadian Rockies to the east and the Purcell Mountain Range to the west, this area is home to over 15,000 migrating birds (including 300 pairs of nesting Great Blue Herons) as well plenty of incredible wildlife (expect to see elk, white-tailed deer, wolves, moose, cougars, grizzly bears, and much more). It’s almost guaranteed that you’ll spot a grizzly chomping on dandelions along the backroads of the Kootenays (a recent no-stopping zone for a 11-kilometre stretch of Highway 93 S. in the southern portion of Kootenay National Park was temporarily implemented to stop motorists from rubbernecking). 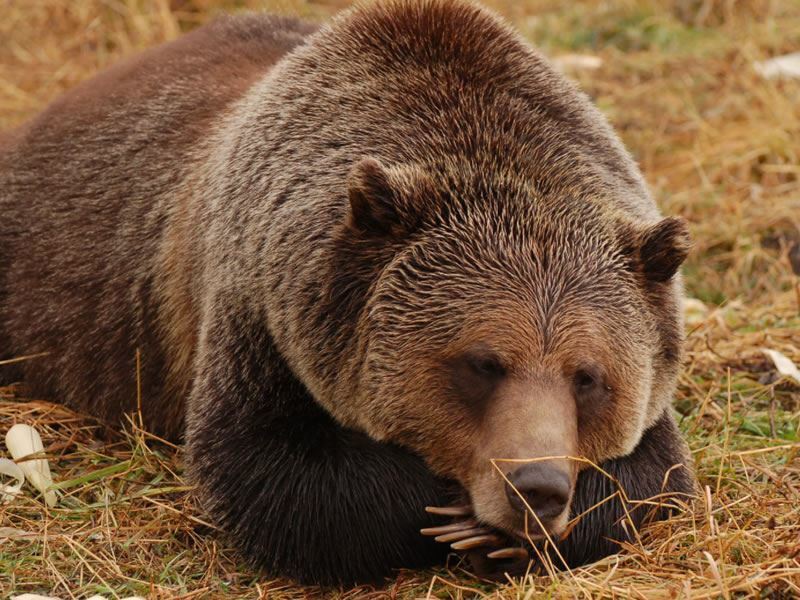 For a definitive sighting, head to the incredible Grizzly Bear Refuge at Kicking Horse Mountain Resort to get up-close with it’s one and only resident, Boo - a 15-year-old grizzly who was orphaned as a five-month-old cub after his mother was shot and killed by a poacher in 2002. Tours are available year-round, but Boo-views are far more rewarding in the summer months when the Golden Eagle Express gondola swings right over his enclosure. Further sightings are also more hit than miss on a multi-day bear watching tour in the Lardeau Valley and Meadow Creek, both of which lie at the far end of Kootenay Lake. Most visitors trek out in a 4x4 vehicle to watch hungry bears emerging from their dens (usually spring) or marvel at grizzlies making their way down the mountains in search of spawning salmon (usually autumn). 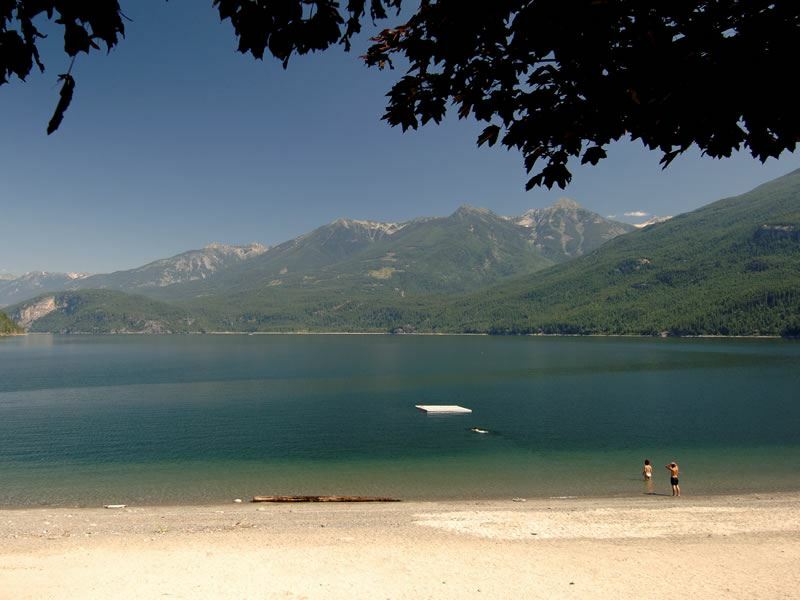 There’s nothing cooler (literally) than a spontaneous dip or a well-researched wild swim in one of the Kootenays’ sparkling lakes - many of which are backed with gently sloping beaches, picnic tables, and grassed areas. Some of the best spots include Wasa Lake for its four buoyed swimming-access zones, Moyie Lake for its 1,300-metres of developed sandy beach and great facilities (beach volleyball courts, hot showers, flush toilets), Windermere Lake for its Rocky and Purcell Mountains views, and Arrow Lake (Upper and Lower) for its man-made swimming lagoon. The most beautiful, though, is Emerald Lake - the largest in British Columbia's Yoho National Park where the waters are cold but the payoff is incredible; especially in the summer when the jade-coloured water is at its most vivid as the snow melts from the surrounding mountain. This is also where you’ll find Emerald Lake Lodge - a rustic home-away-from home complete with century-old fireplaces, an oak bar salvaged from an 1890’s Yukon saloon, and cosy guestrooms in 24 cabin-style buildings scattered around 38 acres of grounds and gardens. Where there’s water there’s fish in the Kootenays, making it one of British Columbia’s top-ranking angling spots. Provided you’ve stuck to the government’s rules and regs (licences are required, available online or through charter operators) you can realistically hope to hook bass (largemouth and smallmouth), bull trout, cutthroat trout, whitefish, kokanee, and rainbow trout. Popular fly-fishing destinations include Kootenay Lake and Trout Lake for Gerrard trout (the largest rainbow trout series in the world), Arrow Lakes (Upper and Lower) for cutthroat trout and kokanee, Lake Koocanusa for mighty Kamloops, and Duck Lake for largemouth bass weighing up to three kilos. 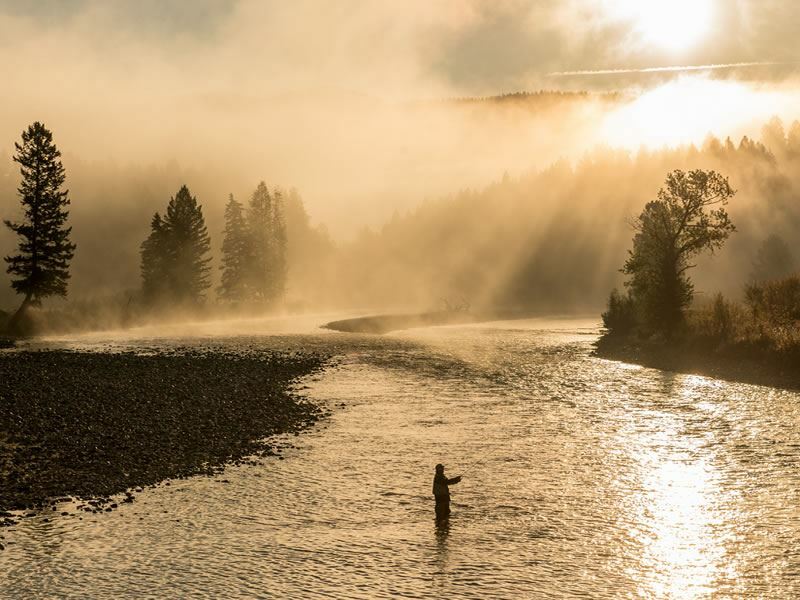 If that’s not enough to fulfil your fishing fantasies, there’s also plenty of rivers (Elk, St. Mary, Columbia, Kootenay, Bull, Flathead, and Skookumchuck), four national parks, and 75-plus provincial parks. And for newbies who’d rather not venture out on their own, there’s a decent selection of outfits offering fishing trips on heated boats complete with rods and tackle, licensed guides, toilets, and even barbecue facilities (you need only bring food, drink, and warm clothing). 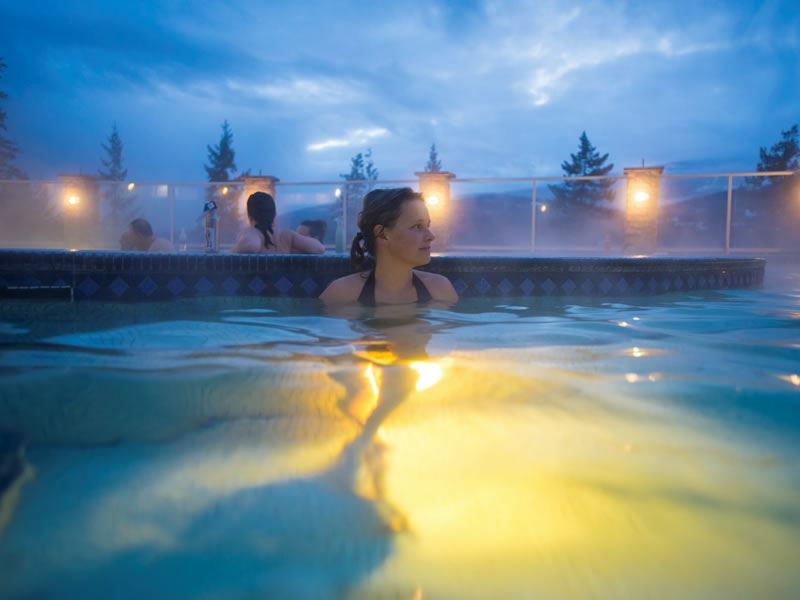 From developed geothermal pools tucked deep in old-growth forests to remote holes surrounded by canyons, flowing rivers, and towering peaks, the Kootenays’ healing hot springs are so awesome there’s even an entire road trip dedicated to them. Known as the Hot Springs Circle Route, this easy-to-navigate journey takes you around the region’s mind-blowingly beautiful terrain and to 13 key stops where you can soak into serenity. For those who like their luxuries, nothing beats the bubbling therapeutic waters at Ainsworth Hot Springs, Canyon Hot Springs, Halcyon Hot Springs, Fairmont Hot Springs, Nakusp Hot Springs, and Radium Hot Springs - all of which have hot pools with temperatures that hit around 41°C (some also come with a deep menu of healing spa treatments). Alternatively, if you’d prefer your mineral-rich waters a bit more rustic, try Lussier Hot Springs in Whiteswan Lake Provincial Park, Radium Hot Springs in Kootenay National Park, or Nakusp Hot Springs - a circular pool housed in an amphitheatre-like structure set against a backdrop of mountains that tower just above Kuskanax Creek. 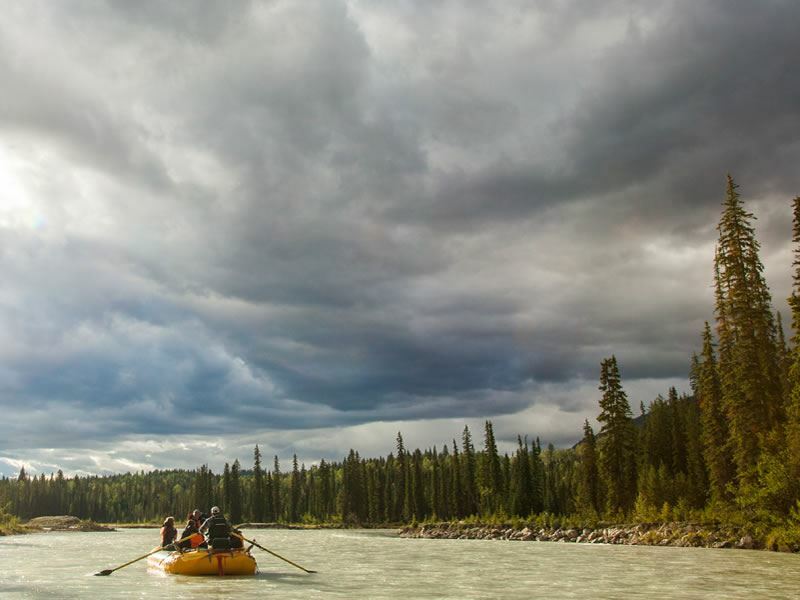 Adrenaline junkies and nature lovers keen to take a leisurely float down meandering rivers or bounce at speed over turbulent waters will be wowed by the Kootenays’ numerous rafting opportunities - many of which are available in or near the region's many outdoor adventure communities. For daredevils, the Kicking Horse River (known as the Whitewater Gem of the Canadian Rockies) is easily the best; not least for its plunging rapids, drops, waves, rocks, narrow passages, Rocky Mountain views, and continuous Class III and IV rapids with names such as Shotgun, Last Waltz, and Terminator. For the less experienced who’d prefer a far gentler glide, the Columbia River Valley (stretching from Canal Flats to Donald) presents big mountain scenery (Canadian Rockies and Purcells),wildlife-filled wetlands, and rapid-free waters. Most licensed rafting operators will provide specialised equipment (wetsuits, lifejackets, waterproof jackets, helmets, paddles) and will require participants to sign a waiver and release of liability. Usually, there’s a minimum age limit for rafters - and very few allow kids under the age of 10. 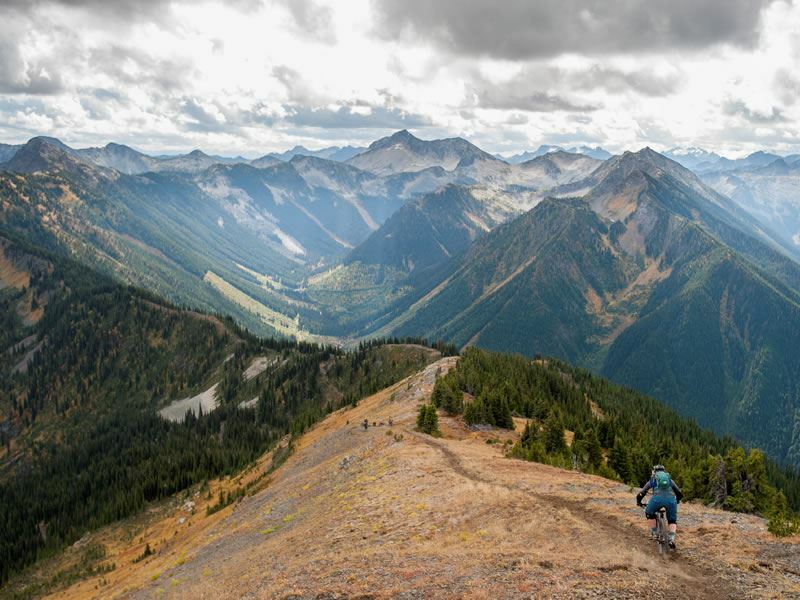 Advanced and fearless mountain bikers have long tapped into the brilliance of the Kootenays for its seemingly endless twisty mountain trails, remote backcountry roads, rocky technical tracks, exhilarating 5,000-foot vertical descents, and adrenaline-fuelled downhilling. But for those not keen on taking inherent risks on unpredictable terrain, this outdoors wonderland has plenty to please. Most first-time cyclists seeking easy-grade rail trails can bike the abandoned rail beds of the Great Northern and Slocan Valley rail trails - or take a more mellow cycle along the labyrinth of smooth-flowing trails that wind through the forested slopes of the Rossland Range and throughout the Columbia and Beaver Valleys. Another great family-friendly spot is the Fernie Dirt Jump Park - especially for little bikers who want to perfect their moves on a big set of dirt tracks, pumptracks (easy and intermediate), practice trails, and little wooden bridges. From the jump park, you can then pedal east on the mostly flat four-mile Main Town Loop that circles the downtown and Annex areas as well as the Elk River, Annex Pond, and Maiden Lake. 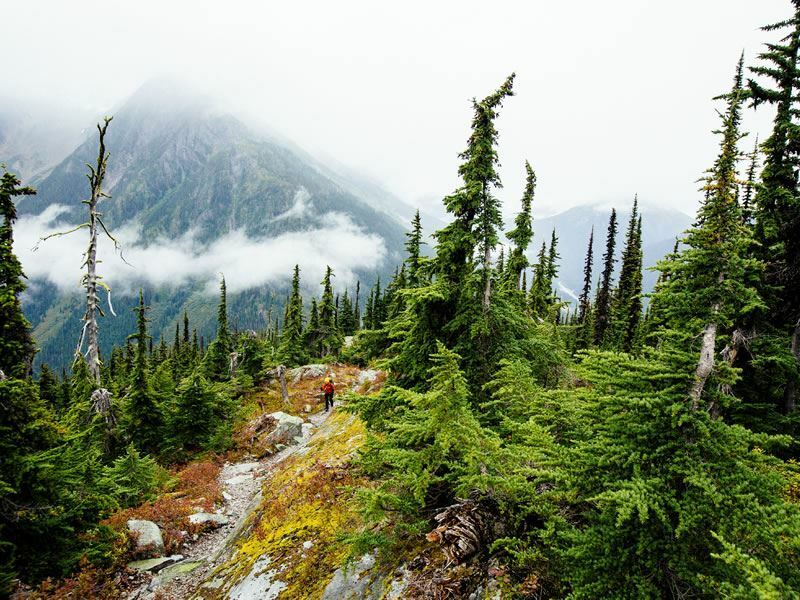 The Kootenays is home to four unique national parks, all of which come with extensive trail networks for adventurers unfazed by distance, elevation, and terrain. But for those who want to experience ravishing scenery without the epic hike, there’s plenty of easier alternatives. Must-dos include taking a gentle stroll through the Trail of the Cedars at Glacier National Park to make your way down to Avalanche Lake, and hitting various sections of the iconic Rockwall Trail at Kootenay National Park for hanging glaciers, wildflower meadows, larch forests, and the Helmet Falls - one of the highest waterfalls in the Canadian Rockies at 1,154 feet. There’s also Mount Revelstoke National Park for valley-bottom rambles or more strenuous climbs through stands of old-growth cedar-hemlock forest, and Yoho National Park for trails that reward with views of iconic sites such as Emerald Lake, Wapta Falls, Kicking Horse Pass, and Spiral Tunnels. A number of established operators run guided walking tours throughout each of the four national parks, with some also offering multi-day adventures and overnight camping.